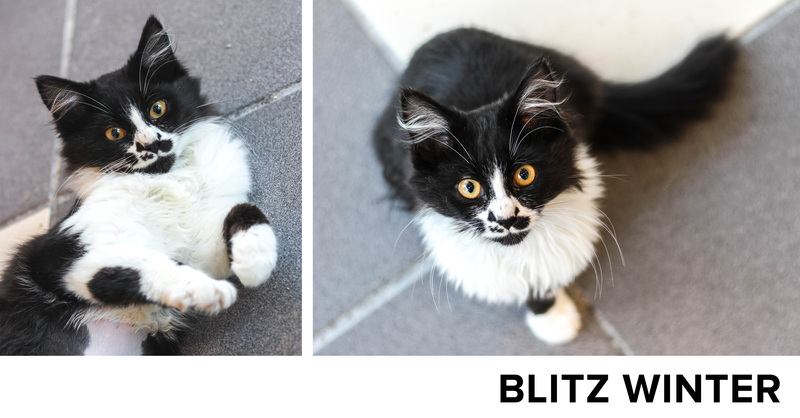 Blitz Winter is a 3 month old female. I swear kittens are made of fluff and air. This one was PERFECT. She just got out of surgery and was a little loopy, but soooo sweet and friendly. I could die. I love her. 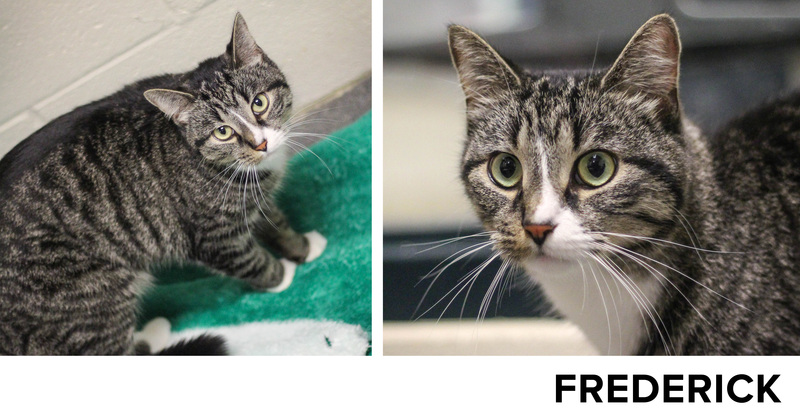 Frederick is a 3 year old male. He was so soft and had the best purr. I probably spent the longest with this guy just because he was eating up the attention. Buster is a 10 year old male. He was in a room with two other cats, and he was by far the biggest social butterfly. I had to take pictures of all the cats in that room and he wouldn’t stop photo bombing the other cats. He was great. 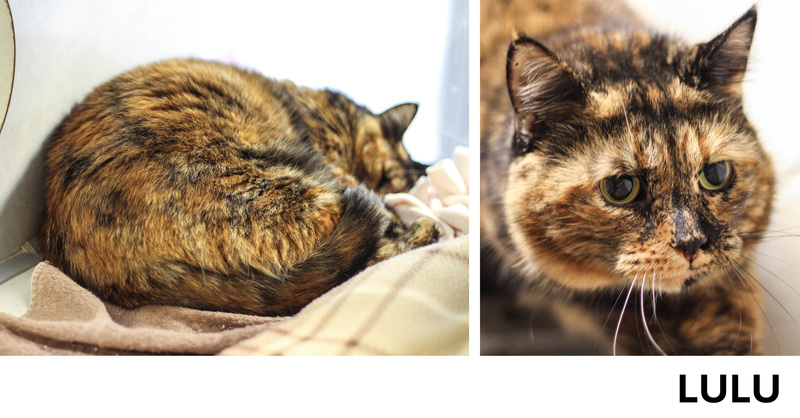 Lulu is an 8 year old female torti. She was so cute curled up napping in her cage, I felt bad waking her up. She was a sweetie though, and obliged for some shots. 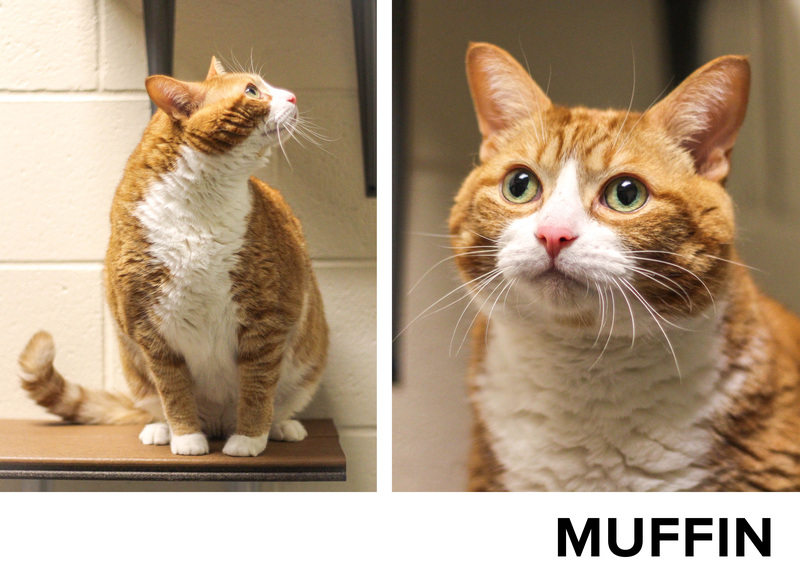 Muffin is a 10 year old male. He is a very big guy. His eyes are the opposite of being cross-eyed. I didn’t know the term for that and I Googled it. It is called “divergent strabismus”. The more you know. 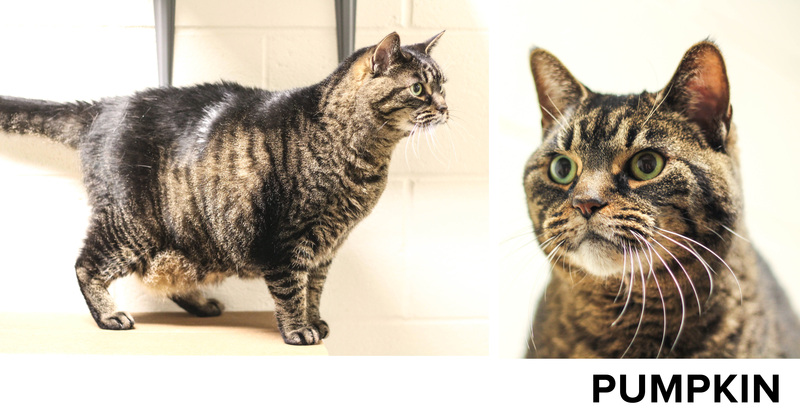 Rita is a 9 year old female. She was nice and tolerated me, but aloof. 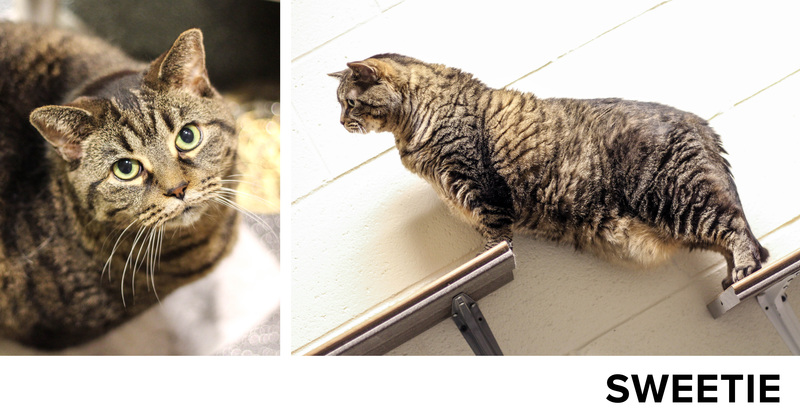 Lilly is an 8 year old female. 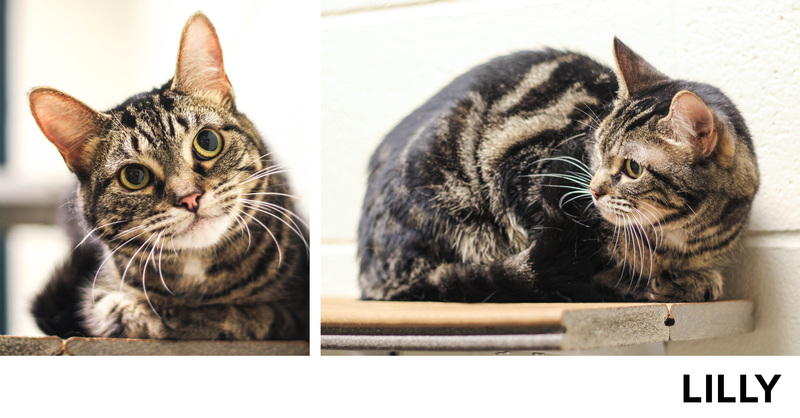 She is a sweet cat, but scared at the shelter. She doesn’t like surprises and can be skittish. The picture I got of her face cracks me up. She looks like she’s smiling! 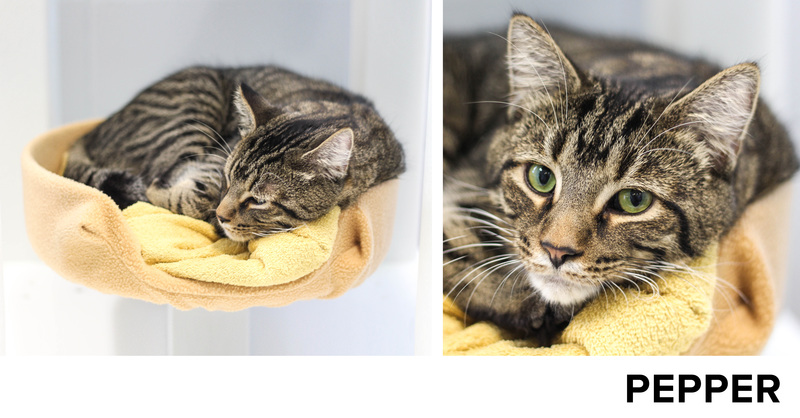 Pepper is a 1 year old male. He was really chill and happy in his bed, so I just let him be and grabbed a couple quick shots before heading on to the next. 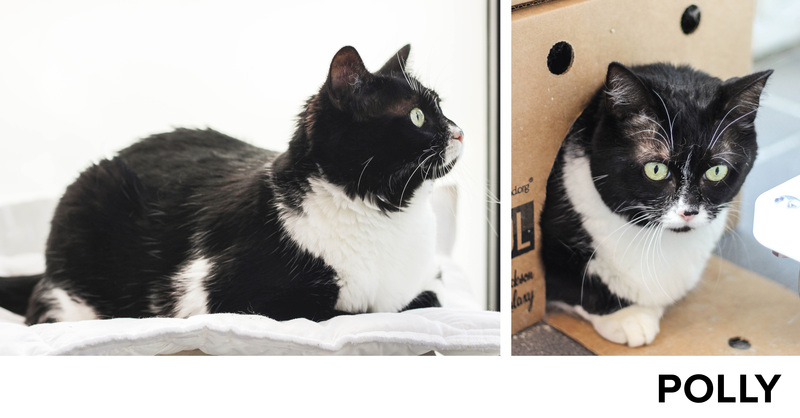 Polly is a 5 year old female. I walked into her room and I couldn’t find her. Turns out she had somehow flipped over her cardboard box so she was trapped inside! Poor girl. She was happy to be freed. 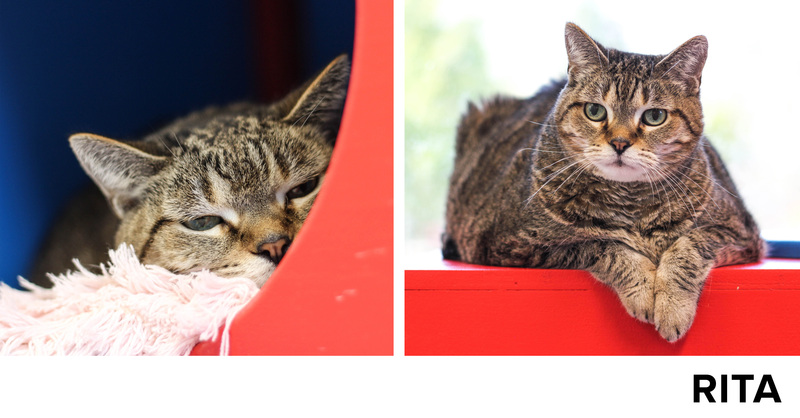 Sweetie and Pumpkin are 10 year old sisters and will be adopted as a pair. They are two of the biggest cats I have ever seen. 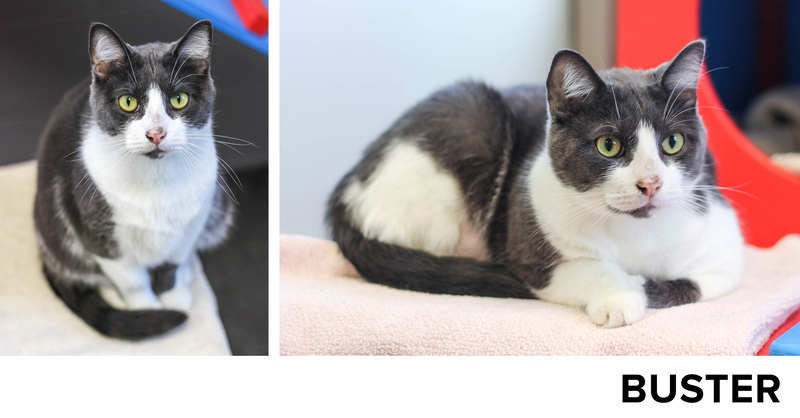 They look almost identical except Pumpkin has a white spot on her back. They are both very calm and happy. This entry was posted in Humane Society and tagged adoption, animal shelter, animals, cats, grand rapids, Grand Rapids Michigan, Humane Society, michigan, pets, photo shoot, photographer, photography, rescue, ruggy, volunteer, West michigan by danalaureano. Bookmark the permalink.